Remember, Remember, the Fifth of November - it's now been 25 years since the greatest mass UFO sighting in French history, in 1990. 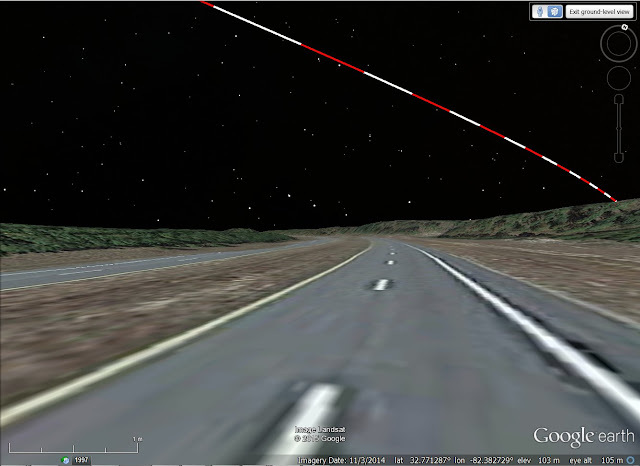 Some witnesses described it as 'giant triangles' crossing the sky. Except that it was the re-entry of a Russian Proton rocket (designation 1990-094C), used to launch a Gorizont satellite. Satellite orbit guru Ted Molczan has prepared this map, showing the trajectory of the object as it traveled (west to east) across France. This matches up extremely well with the time and trajectory of the reported "UFO." From the UFO Working Group Netherlands: Analysis of the 1990 UFO reports by British jet fighter pilots. 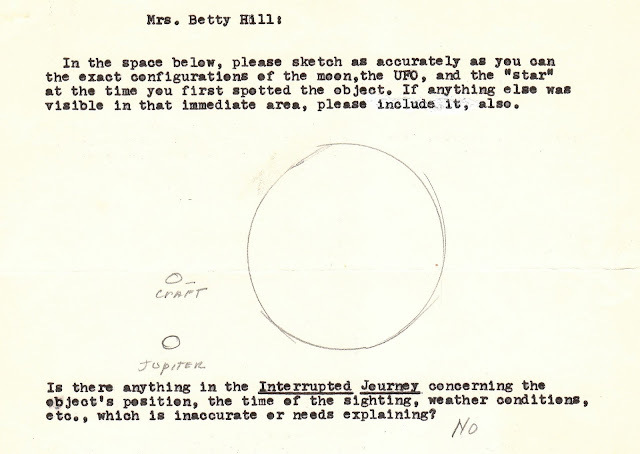 Case Studies In Pilot Misperceptions Of "UFOs" by James Oberg. "Credible people reporting incredible things." But quite inaccurately. 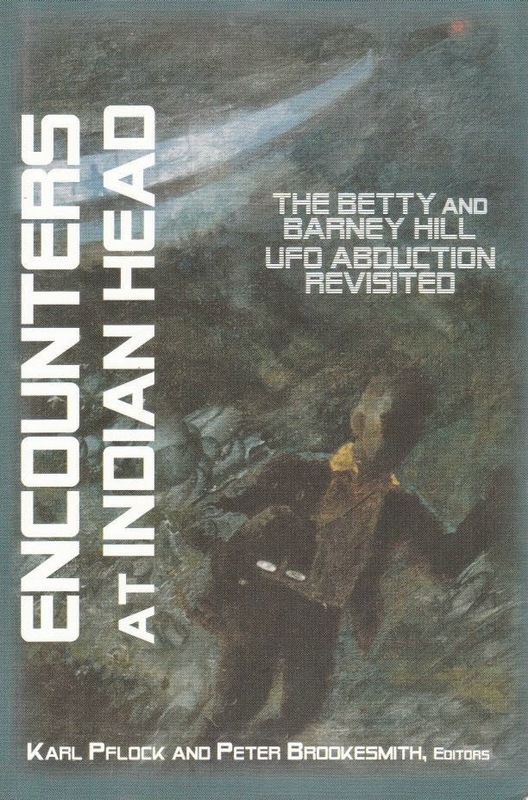 The supposed Rendlesham Forest UFO landing case (sometimes referred to as "the British Roswell") involved the supposed landing (or at least Close Encounter - the story is inconsistent) of a UFO in Rendlesham Forest, Suffolk, UK in December, 1980. Just like the story of the fish that got away gets bigger with each telling, the more time that passes, the more exciting the Rendle-sham case becomes. Practically each year, one of the supposed witnesses invents a new and dramatic claim to 'prove' that the case is real. At its most basic, the case comes down to the misinterpretation of a series of nocturnal lights – a fireball, a lighthouse, and some stars. 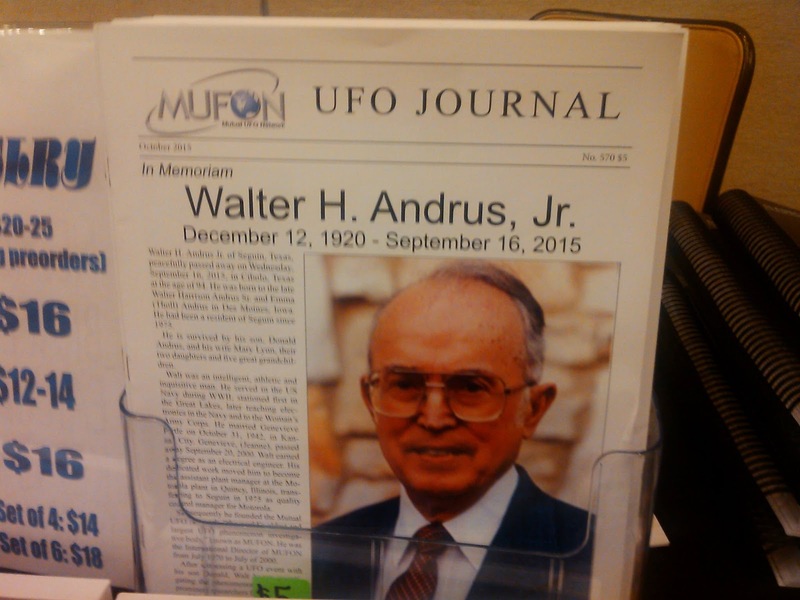 Such misidentifications are standard fare for UFOlogy. It is only the concatenation of three different stimuli that makes it exceptional. "I have confirmation that (Bentwaters radar operators)... saw the object go across their 60 mile (96km) scope in two or three seconds, thousands of miles an hour, he came back across their scope again, stopped near the water tower, they watched it and observed it go into the forest where we were," said Col Halt. "At Wattisham, they picked up what they called a 'bogie' and lost it near Rendlesham Forest. "Whatever was there was clearly under intelligent control." Halt does not name the supposed radar operators, and does not say how he obtained this information. He claimed that the operators said nothing about this until after their retirement, for fear of being "decertified" for reporting a UFO. Even if this unlikely claim were true, it does not correspond to what the supposed witnesses are reporting. 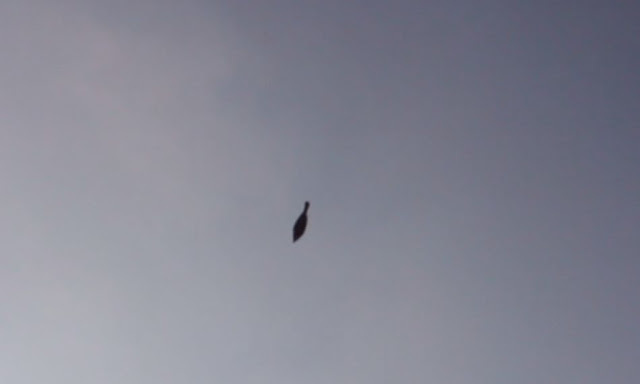 A UFO allegedly whizzing by at thousands of miles an hour does not match the UFO(s) allegedly seen hovering for hours above the forest, and even landing there. Lee Speigel wrote in the Huffington Post on July 21 that Halt says this new information will 'blow the lid off' the Rendlesham Forest sightings. 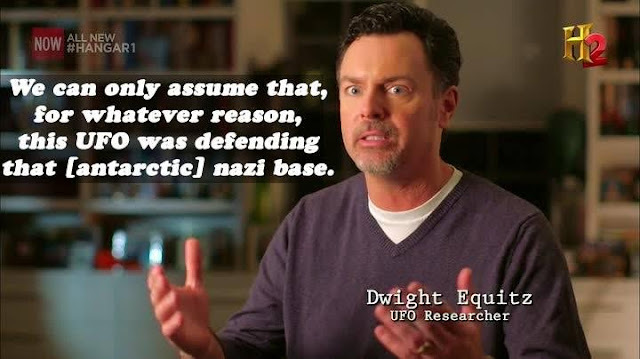 We previously reported how Halt accused the U.S. government of covering up UFO information, and he believes there's a top secret agency that's in charge of anything to do with possible extraterrestrial visits to Earth. "There is a contract civilian agency, that is fed information, that is controlling everything. It's made up of either former military, high-level government agencies or high-ranking, very knowledgeable scientists. I can almost guarantee you. That's the way we do it. 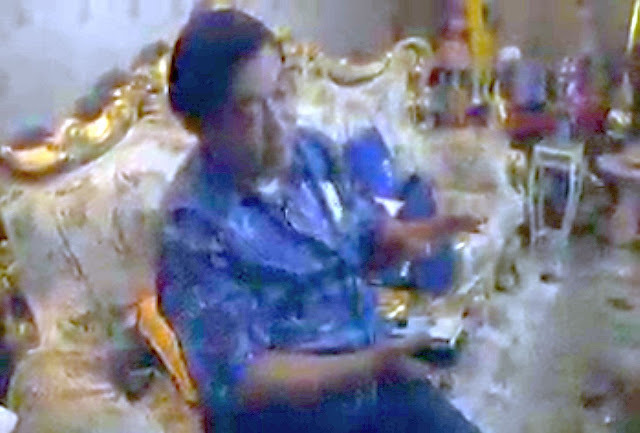 And disinformation is the biggest thing," Halt told HuffPost on Friday. 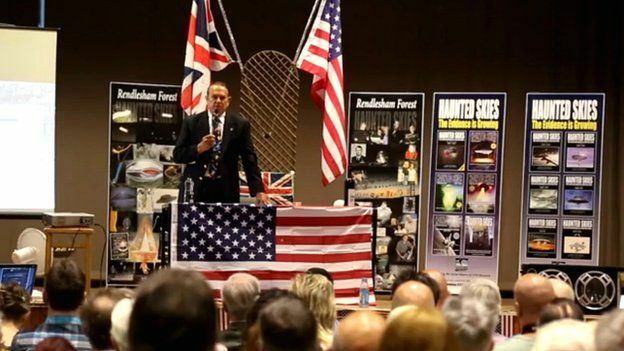 Speaking at a UFO conference in Woodbridge, Suffolk, he said: "There is no doubt in my mind we are not alone and there are some people (in power) who know this, but even Mr (Barack) Obama won't get through to them." This is not the first time that Halt has 'jazzed up' his account of the Rendle-sham incidents. Ridpath describes Halt's "iffy affidavit," written in 2010, as a "disastrous attempt to rewrite the facts of the case," suggesting that "this product of his 30-year-old memory differs so substantively from what he said and wrote at the time that it would be destroyed in a court of law." What are other "top witnesses" from Rendle-sham reporting? Airman Larry Warren claimed to have seen a light in the forest that "blew up," then re-assembled itself, and alien beings came scampering out of it. He says they resembled "children in snowsuits." By his account, many other Air Force personnel saw these creatures, but nobody else has reported them. 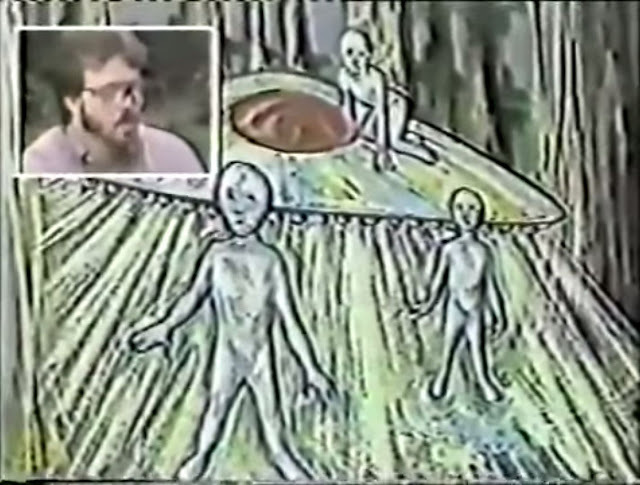 Larry Warren's description of alien beings scampering out of the Rendle-sham saucer (from 1985 CNN special on Rendlesham). 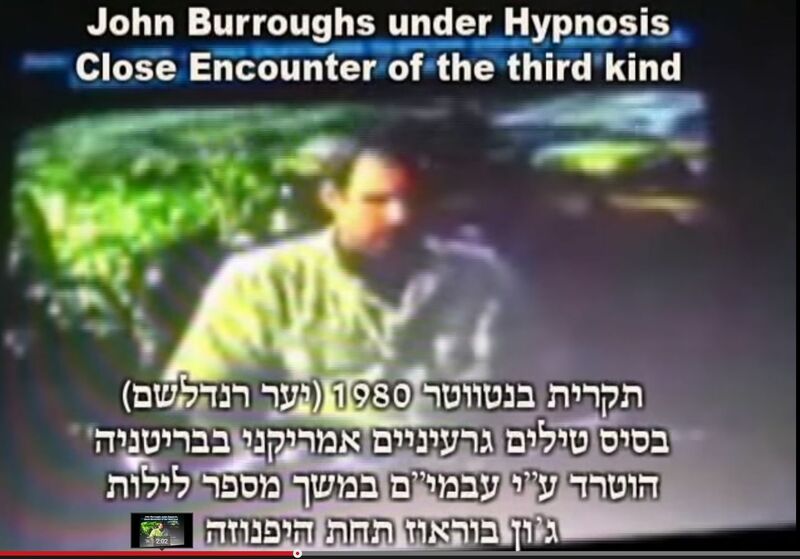 Another supposed witness, John Burroughs, has implied while supposedly under hypnosis that he and Sgt. 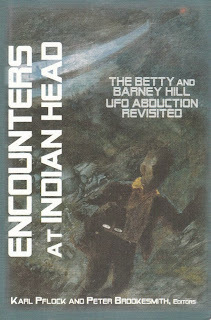 Penniston were abducted by beings onto the UFO for about 45 minutes, and brought back to a different place. Supposedly base personnel saw them being lifted up to the object, and worried that they would never be returned. John Burroughs ham-acting his supposed UFO encounter under "hypnosis." Hilarious! Sgt. 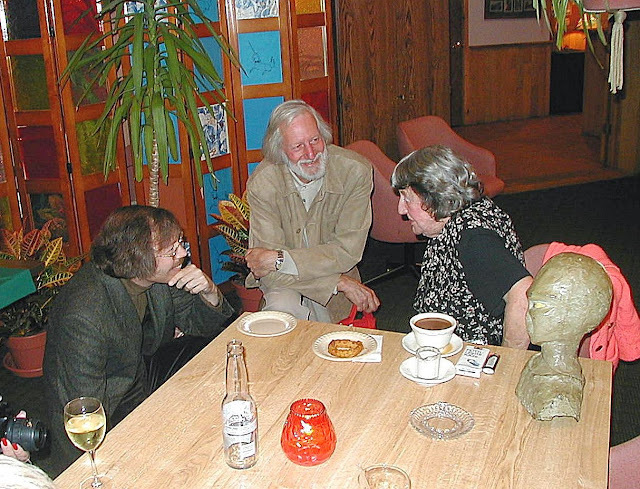 Jim Penniston (ret. 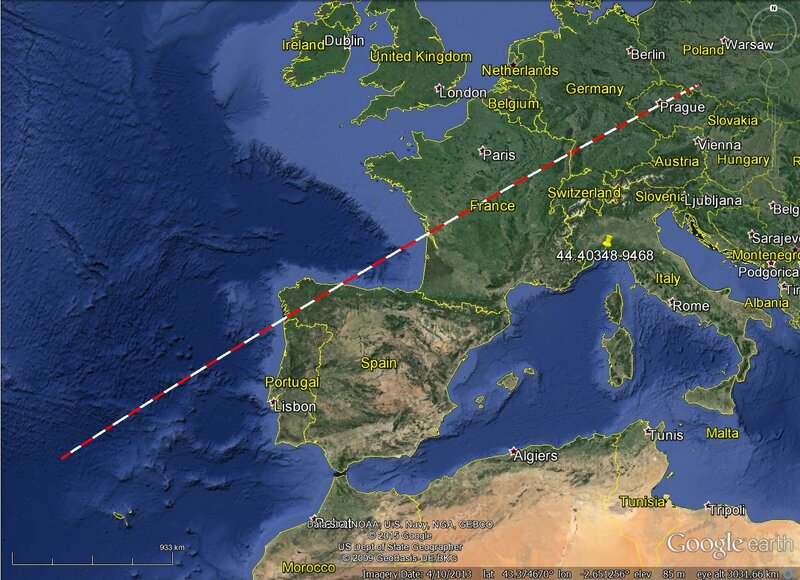 ), however, relates a completely different UFO yarn, in spite of supposedly sharing in Burrough's UFO abduction. 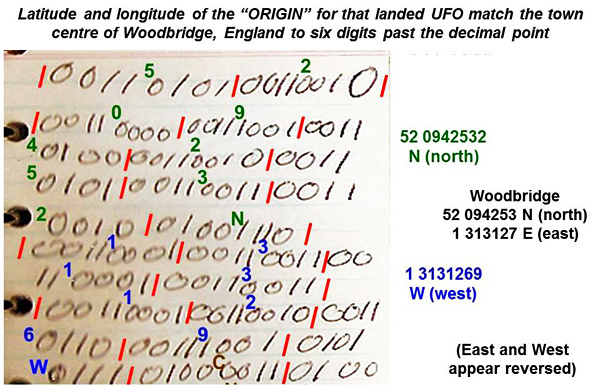 He claims that he touched the landed UFO, and received a message from it in the form of a "binary code," which he subsequently wrote down. However, he did not tell anyone about it for thirty years. 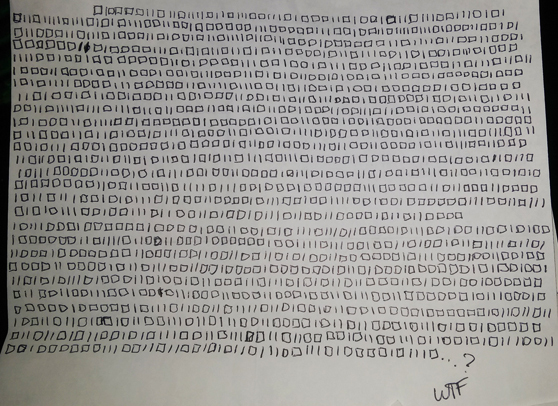 Part of Penniston's telepathically-received 'UFO Binary Code,' miraculously turning up in his notebook thirty years after the fact. 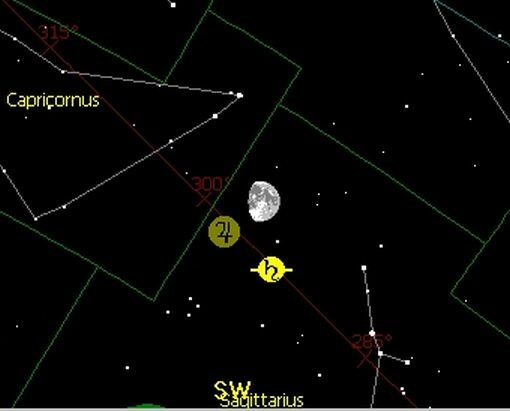 It reveals the UFO to have been sent by Time Travelers from the year 8100. If you can describe any of these "witnesses" as "credible," then you are much better at "believing things" than me. 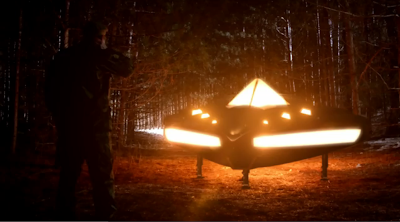 The Rendlesham Forest now has its own "UFO Trail." A UFO encounter is a terrible thing to waste. It has been almost two months since my last Blog posting, which is a bit unusual. 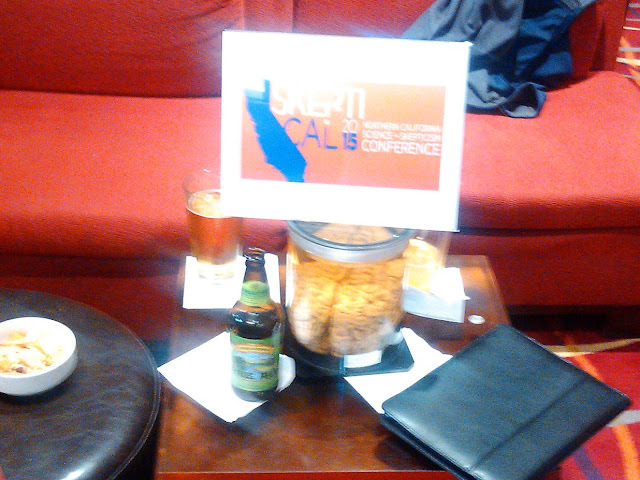 But I have been going a lot of places, especially conferences and meetings. Let's take a look at some of them. 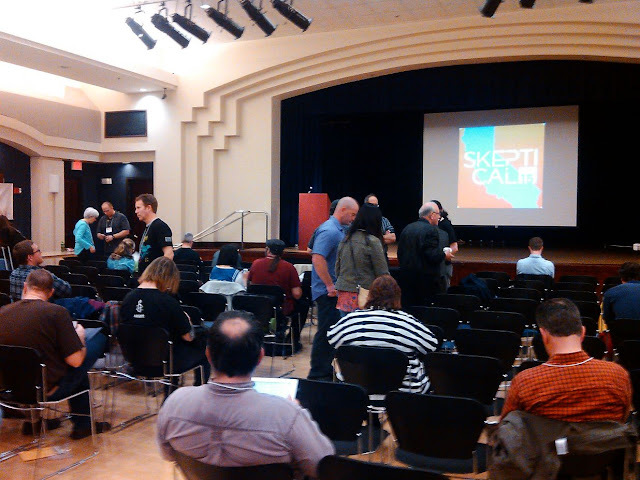 In the first week of June I went up to Oakland to attend the one-day conference Skepti-Cal on June 6, sponsored by the Bay Area Skeptics. Since the late Bob Steiner and I were the founders of that group back in 1982, I figured I should check out how they're doing. Actually, they are doing quite well, even without us! Bay Area Skeptic Sheldon Helms appropriately brought his brain to Skeptical-Cal, for intelligent discussions. It was held in the Asian Cultural Center in Oakland, CA. Hailey Sheaffer, born June 7. Actually, that's not the only reason I was in Oakland the first week in June. My son Ken's second child was due the last week in May. They live in nearby Alameda. A perfect plan, I thought. The baby will be a week or two old, I'll visit with them, and attend Skepti-cal. Small problem. 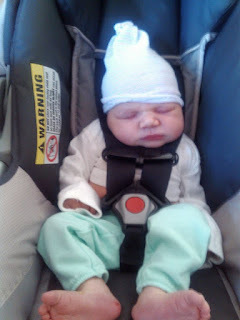 The baby was stubborn, and was almost two weeks late. I was afraid that I'd have to go back home before the baby was born! But the baby came the morning after Skepti-Cal, so I got to see my newest granddaughter a few times before my flight home. 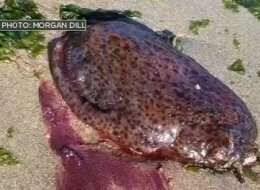 And that delayed schedule also gave us the chance beforehand to be surprised by the giant purple Sea Slugs washing up on the beaches in Alameda and vicinity. I thought it was some kind of gross jellyfish, but my son quickly figured it out. These are gruesome-looking things. One person actually called emergency services, saying that a human organ had washed up on the beach! 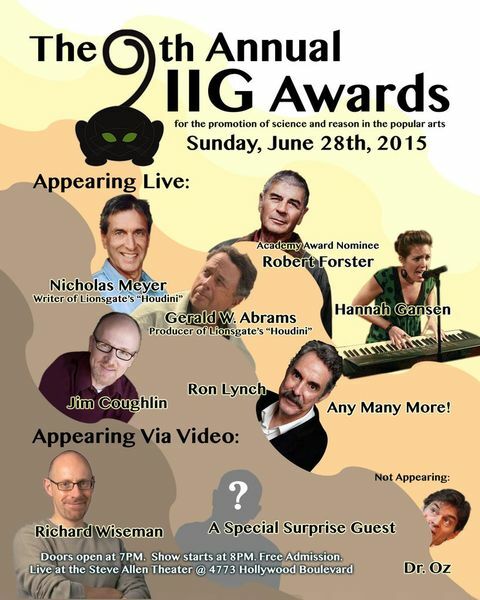 On June 28, I attended the annual Awards Ceremony of the Independent Investigations Group in the Steve Allen Theater in Hollywood. This parody of the Oscars gives awards for good (and bad) treatment of paranormal claims in the media. Dr. Oz was awarded the Truly Terrible Television Award. 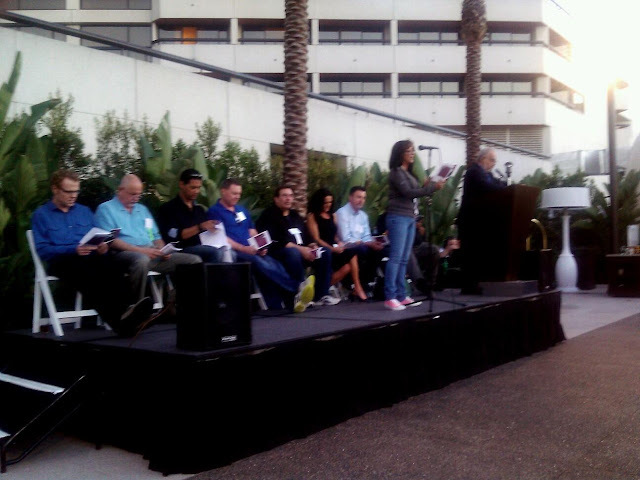 The next weekend, July 4, was the Westercon science fiction convention, this year in San Diego. I was invited to give a talk, so I spoke about the Roswell Slides fiasco. The weekend after that was - of course - Comic-Con. Nothing in San Diego is normal during that week. There are tons of Comic-Con photos on-line, so I'll only post a few. 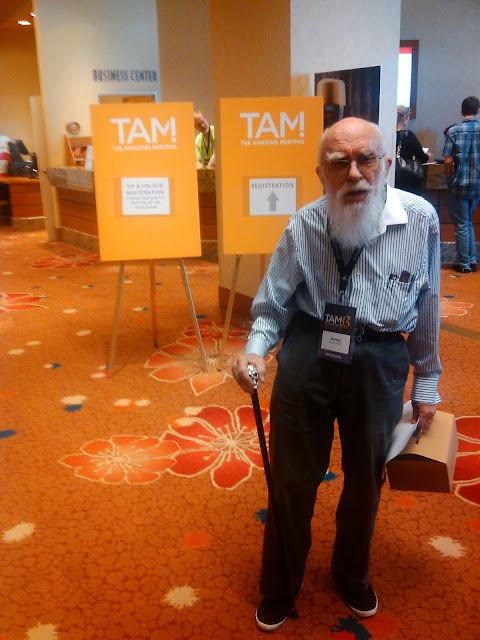 After a brief rest, I drove up to Las Vegas for The Amazing Meeting with the Amazing Randi. 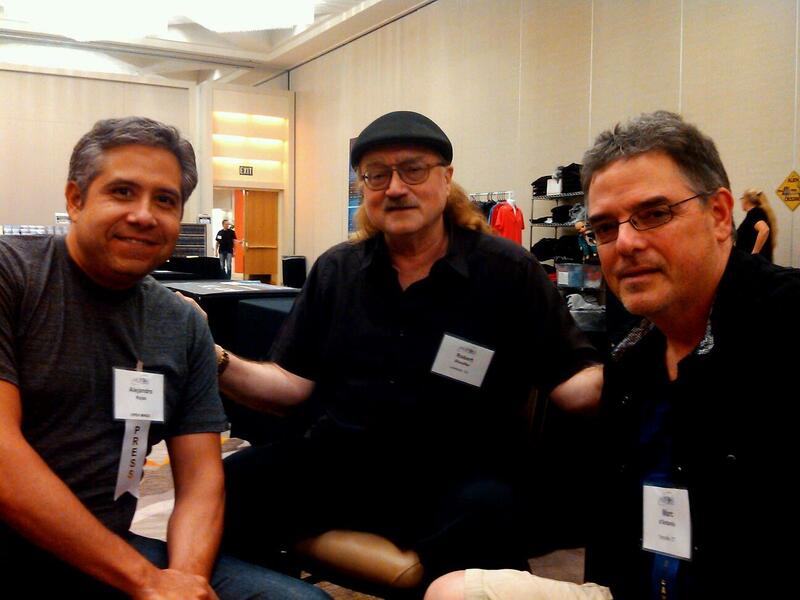 I presented a workshop, along with James McGaha, on "Evaluating UFO Claims in the Media." This was the only UFO-related item on the schedule. One of our main points was: the UFO "documentaries" you see on cable TV are intended as entertainment, not as factual programming. Exaggeration and/or fabrication are the general rule. For example: Hangar 1. There were so many old friends, and new friends, it would take forever to tell it all. In brief, I did meet and chat with a large number of skeptics, including (in no particular order) James Alcock, Matt Crowley, Jay Diamond, Taner Edis, Tim Farley, Susan Gerbic, Andrew Hanford, Heather Henderson, Sheldon Helms, Sharon Hill, Ray Hyman, Barry Karr, Linda Lawrence, James McGaha, David Glueck, Kitty Mervine, Massimo Polidoro, Spoony Quine, Ben Radford, James Randi, Dave Richards, Richard Saunders, Jamy Ian Swiss, James Underdown, Mick West, and many others whose names have blurred together in my mind - so if I left you out, please excuse me. Much was said about the new documentary movie about Randi's life, An Honest Liar. 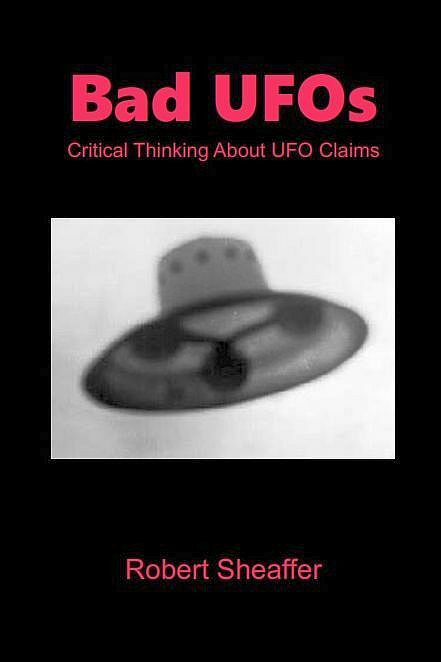 Frank Warren wrote a nice review of it on The UFO Chronicles. I purchased the Blu-Ray DVD of that movie, on sale at The Amazing Meeting. It has considerable bonus materials. I was very happy to see that, in the Blu-Ray bonus segment titled "Popoff Exposure: Undercover Plant," Bay Area Skeptics Don Henvick and the late Bob Steiner are featured, and credited, for their roles in Randi's sting of the Fake Healer Peter Popoff. Most interestingly, Col. John Alexander contacted me just before TAM, asking if I'd be attending. He lives in Las Vegas, and we had met before. 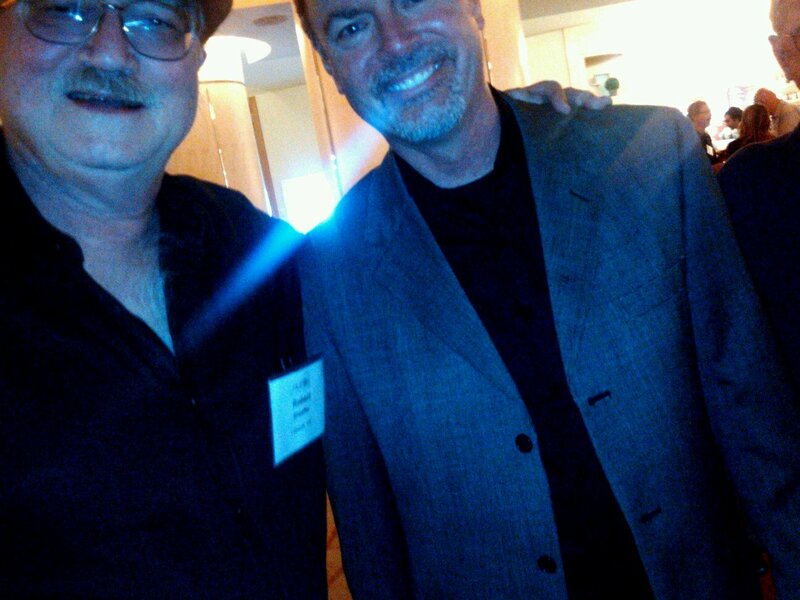 I said I was, so we arranged for him to come by to talk with me, James McGaha, and briefly a few others. We had a nice chat. We agreed about the fiasco of the Roswell Slides and such. Ultimately, John (who is still active in the Society for Scientific Exploration) was advocating for the supposed healing powers of John of God in Brazil. He felt that, since the "healer" was not attempting to collect money in any way, this suggests his powers are genuine. Alexander also was promoting the supposed paranormal ability of a tribe in a remote part of West Africa to handle and even hold in their mouth an extremely hot, glowing metal rod. I pointed out to Alexander that right here at TAM, there was a million dollars to be had by demonstrating such a claim. "That challenge can't be won," he insisted. I have heard this before from parapsychologists: they insist that Randi's challenge is rigged, and is unwinnable. (They have to maintain this, otherwise they have no excuse for not taking the challenge.) It's obvious that these critics know nothing about how Randi's challenge operates, or else they deliberately misrepresent it. Randi does not tell the "psychic" what to do: instead, the "psychic" tells him what they claim to be able to do. The discussion then moves to, "How can this be demonstrated, while ruling out error or fraud?" At this point magician Jamy Ian Swiss (seen in An Honest Liar) walked by. I brought him over to meet Col. Alexander. I explained that Alexander claimed to know of a tribe in Africa capable of performing paranormal feats of fire-proofing. Swiss invited him to submit a claim. Alexander said, "That challenge cannot be won." Swiss replied, "OK, this conversation is over," and walked off. This guy has a bunch of skeptical tattoos. The text reads, "An Honest Liar." Randi is retiring. What happens next year? We'll have to wait and see.